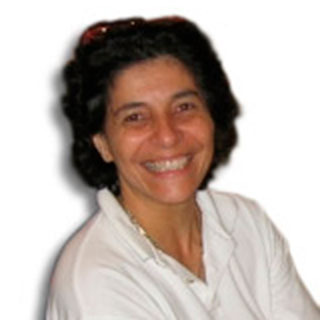 She graduated in 1985 in Brazil, from the University of Sao Paulo, where she remained for a year at the Clinical Medicine department with a research grant. In 1987, she started a collaboration with Boehringer Ingelheim Brazil as a technical advisor to customers, in the development of new products and in the applied research together with universities. In 1990 she moved to Italy, where she worked as a veterinarian for Gruppo Impero on one of the farrow-to-finish 1,000-sow farms, in collaboration with this company’s abattoir, for some 4 years as the person in charge of the suppliers’ economic and qualitative assessment. In 2000, she started working as a consultant together with Pig Service and Josep Barceló. In 2003, and up to now, she started to work with Sus Scrofa Fundación Barcelò organising courses in Italy. She also works with SIP Consultors and Pigchamp-Pro Europa. This article offers a new alternative to plastic feed scoops, the use of a 5/10-liter can made of strong plastic and with a built-in handle. A simple, economical and practical trick is to identify the replacement gilts with tags of different colours according to the batch they belong to. It is easy to see the reaction of the sows (of all of them!) when we supply them with paper. A handful in front of their snout or at the reach of their mouth is enough... oxytocin! It is like giving an injection! This trick shows how to reduce the cleaning time of the fattening pens with a solid floor. An easy solution to store these feeders is to hang them in the corridor of their room. In this way, they do not stand in the way and they can dry well before being used again. The idea is to modify the doors of the pen where sows are housed in groups to increase the contact with the boar.